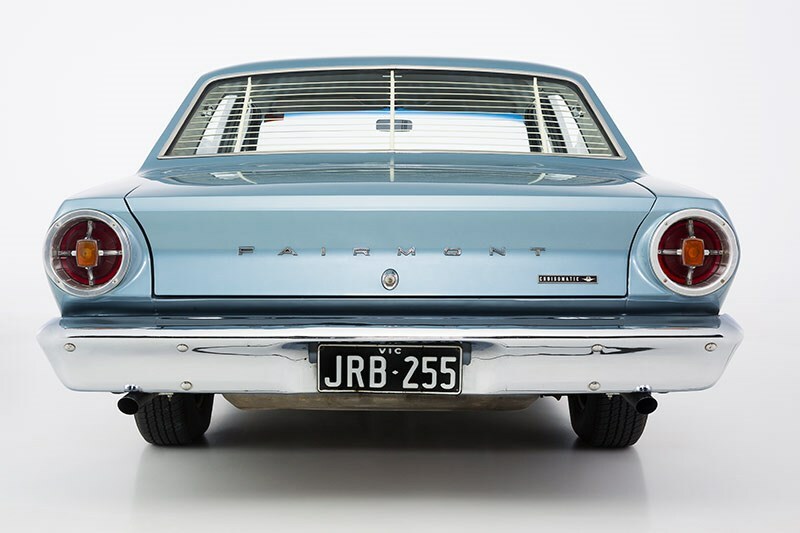 Watching Hayden’s XR Falcon rumble its way into the photo studio, you very quickly realise just how right the designers got this car back in the 60s. 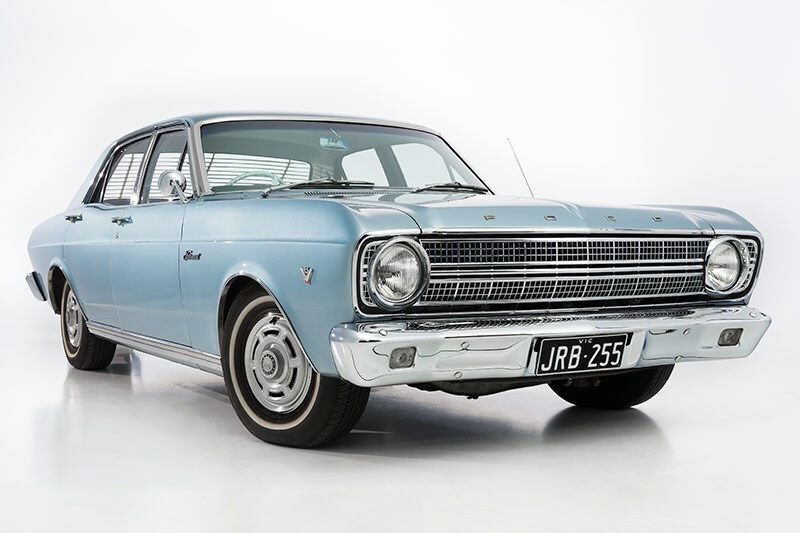 Falcon’s first local generation – the predecessor to this car - met some real challenges, not least of which was a front end that sometimes found local conditions a little too testing. 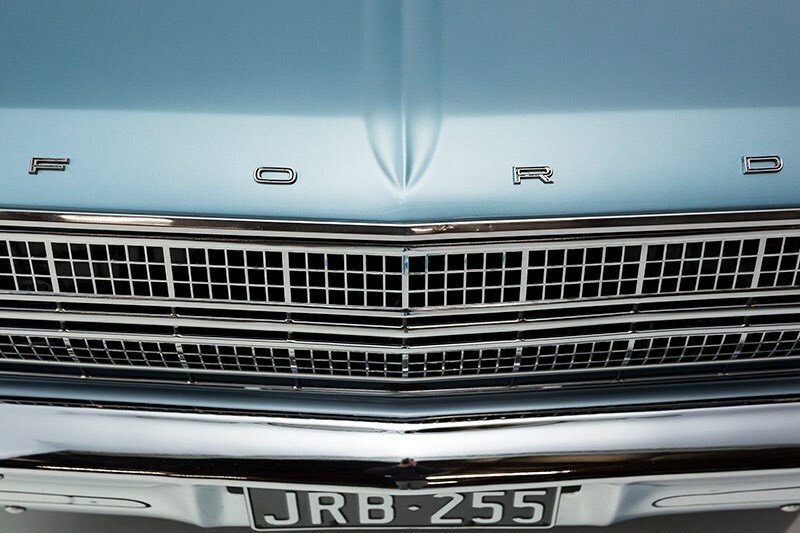 With a clean sheet of paper and the wildly successful Lee Iococca-inspired Mustang as a potential source of both inspiration and parts, the XR was aimed at turning the page in Ford Australia history. This year, 1966, was when we adopted decimal currency, while long-serving Prime Minister Robert Menzies retired in favour of the ill-fated Harold Holt. It was a year for big changes. 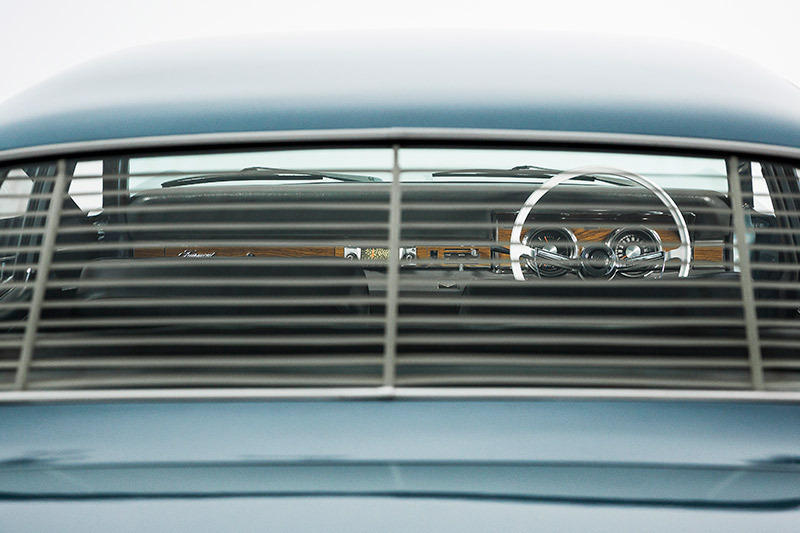 The styling was clearly from a new generation of car, with the long nose, stubby tail and accentuated ‘hip’ giving a passing nod to the American coupe. 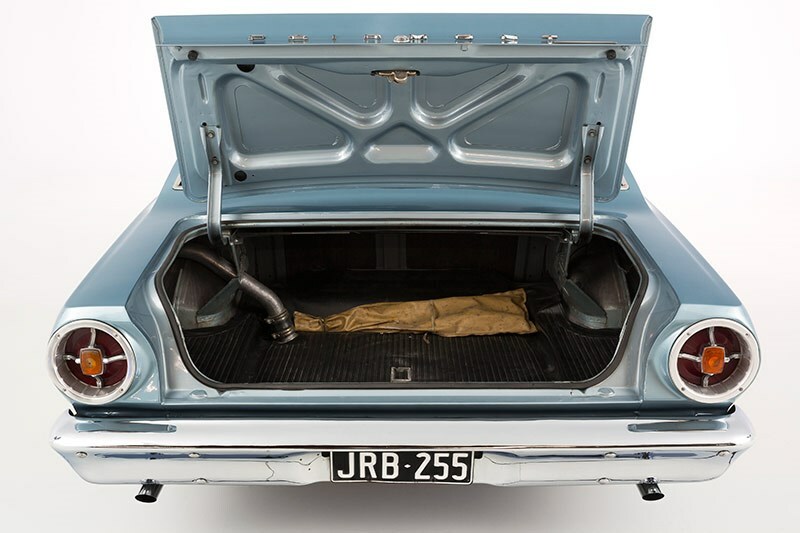 A very direct transfer was the powerplant, a variant of the 289ci (4.7 litre) pushrod V8 which, in this guise, produced a relatively modest 149kW – substantially less than the equivalent K-code Mustang would get from the same platform. In the local market, having a V8 car was big news. 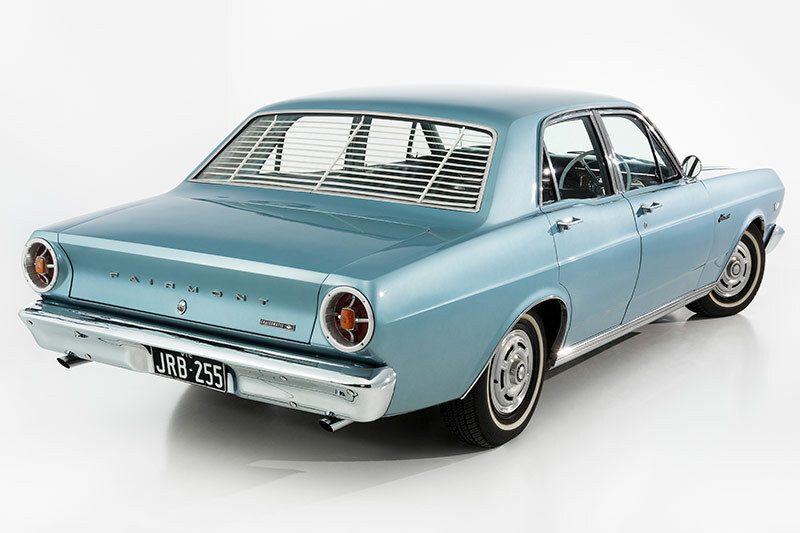 Valiant had launched its bent eight AP6 just the year before, while Holden was yet to enter the fray. That task was left to the HK Holden series, two years later. 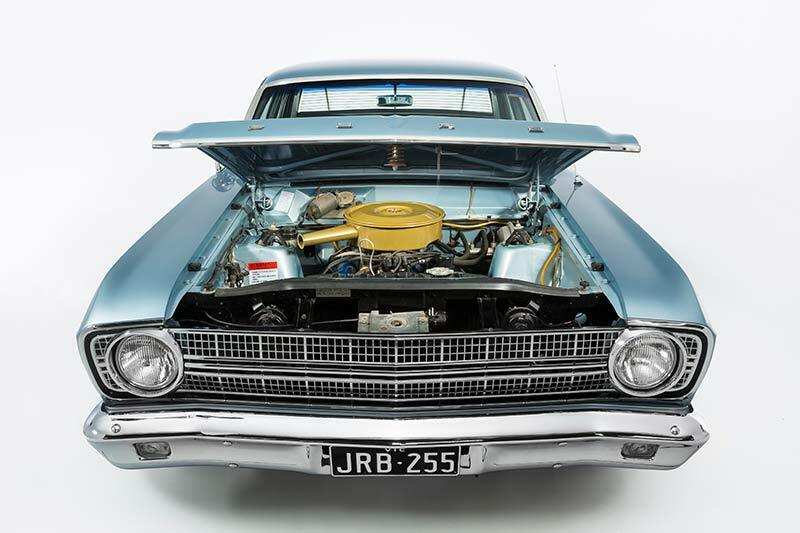 In the case of the XR, a Fairmont V8 with what amounted to 200 horses in the snout meant you had a fair chance of owning the quickest car in your street, with a quarter mile time hovering around the 17 second mark. In any case, you clearly liked a bit of performance. 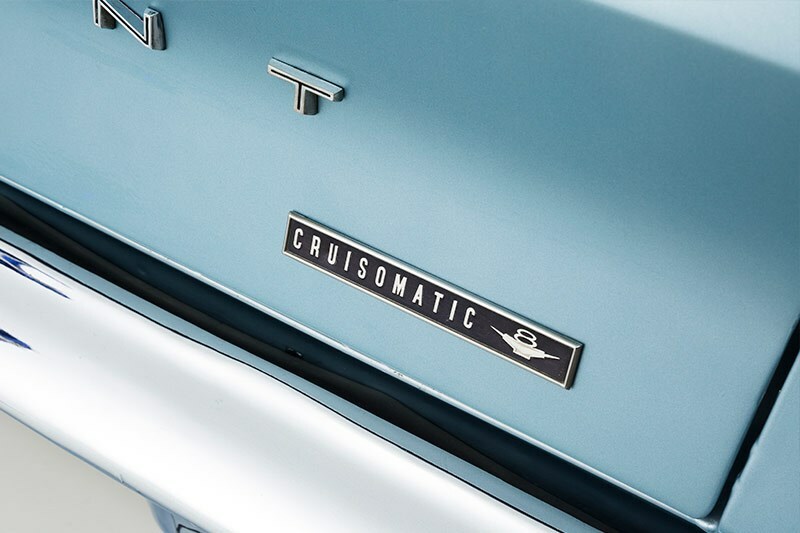 Sitting behind the V8 was the Cruisomatic three-speed auto, also used in Thunderbird and Galaxie over the years. They’re actually a bit thin on the ground these days, so a good one is worth rebuilding. Safety features included power-assisted discs up front, plus optional radial-ply rubber. 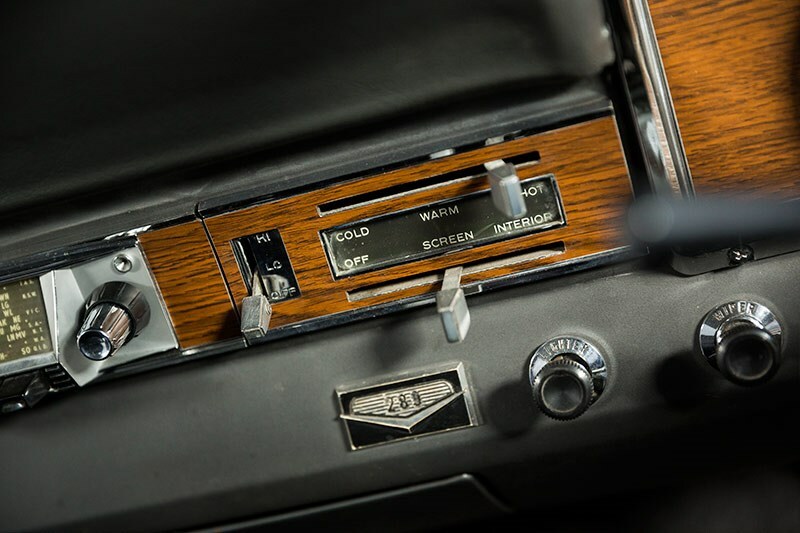 Seat belts were fitted, though lap-sash units for the front were an upgrade. On the road is where these things surprise. Despite hitting the magic half century, they’re still a decent drive. Okay, so the handling and brakes aren’t particularly sharp, though you can do a bit to tighten things up in both areas. The XR V8’s real talent is in being a big solid cruiser that has plenty of pace, while delivering a comfortable ride. That, combined with a look we reckon time has treated well, make it a compelling classic. 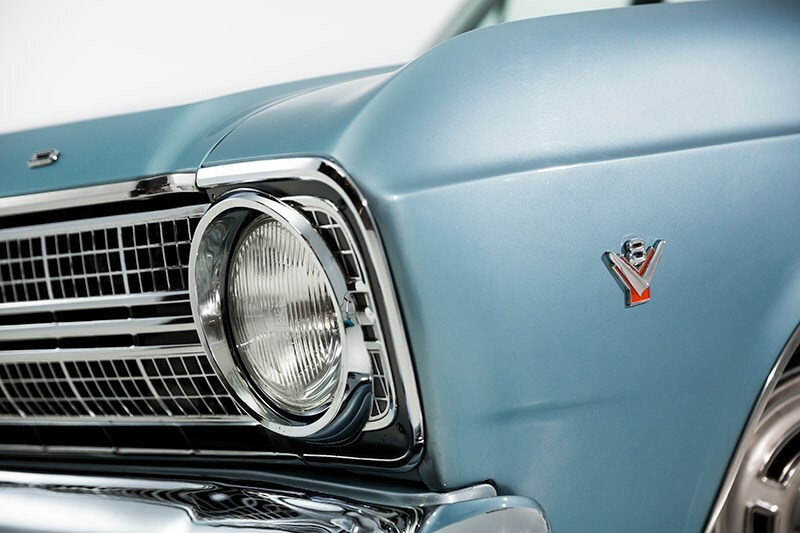 From a buyer point of view, you could do a whole lot worse as a starter classic. Though valuable, these cars aren’t hitting the stratospheric prices of the GT-HO series or even the first GTs. So you won’t have to mortgage the house to buy one. Mechanically they’re very simple and robust and the go is to find one with the minimum mods. The 289 motor is a sweetheart, smooth and easy enough to power up without major mods. 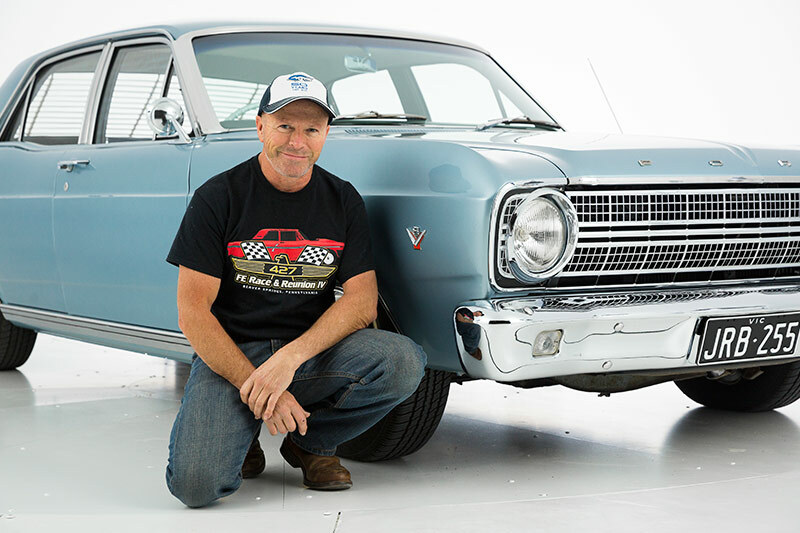 Cliff Chambers has given us the full run-down on what to look for on these pages, while Dave Morley has picked the most important Falcon V8s of all time. If the budget will stretch that far, you might also look at the GT version of the XR, which remains one of the most revered cars of the Ford Australia range. With its 168kW (225hp) tune, it quickly brought the company glory at Mount Panorama. As we revealed in an Aussie muscle car special a couple of years ago, Bathurst cars then ran under the much more tightly-controlled Group E Series Production regulations. 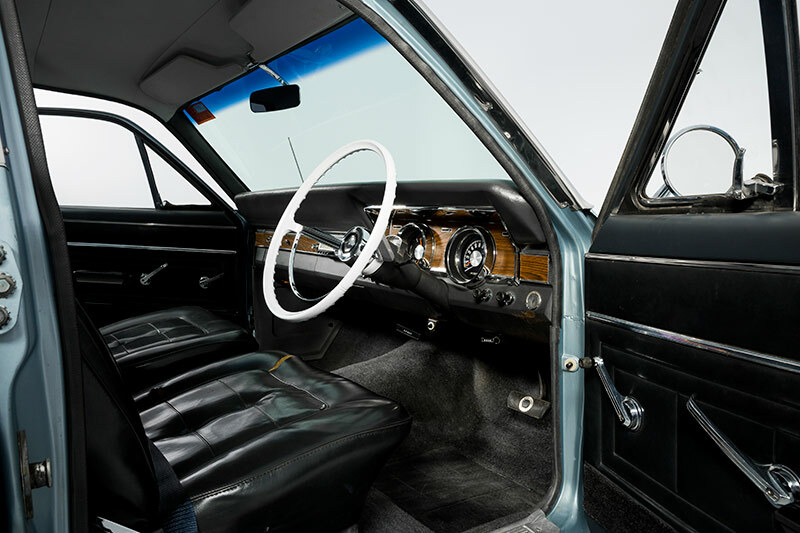 Modifications were extremely limited and homologation requirements for 1967 required 5000 cars to have been produced internationally or 500 to have been produced locally. 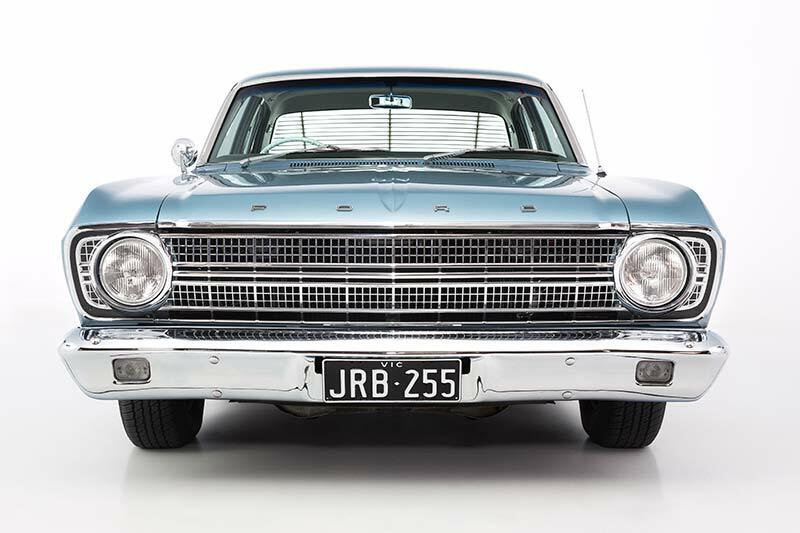 Ford’s new XR Falcon GT cleared that hurdle and seven examples lined up on the grid. Leading the charge were the three cars entered by Ford Australia, driven by Leo and Ian ‘Pete’ Geoghegan, Harry Firth/Fred Gibson and Bob Jane/Spencer Martin. "I didn’t meet Harry until the Friday night before Bathurst," recalls Gibson. "I met him at his hotel room and we discussed what we were going to do. One of the things I said was, ‘Harry, how are we going to go? Will we be competitive?’ He said, ‘We’ll win the race’ and I thought, ‘Hmmm, that’s pretty confident!’"
"Harry had done a lot of brake pad development," recalls Gibson. "I think the brake pads and shoes were pretty special. Even though the shock absorbers had to look stock, I’m sure Harry got shocks made by Monroe-Wylie at a lot heavier rate than anyone else would’ve had and I think the engines were blueprinted. They were very well prepared." Firth/Gibson were the winners from the Geoghegans, with the Alfa GTV of Chivas/Stewart completing the podium. But you know what? 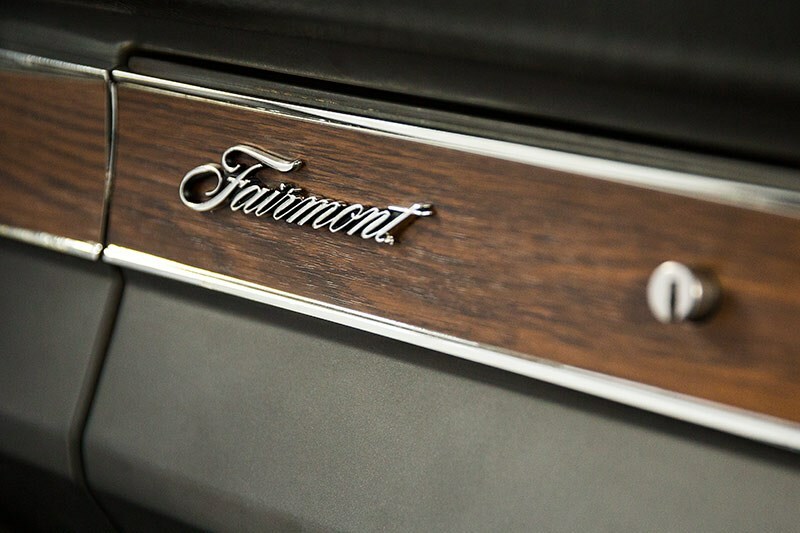 We reckon the Fairmont has an appeal all its own as the first of a long line of V8 family cars. If you see one at the right price, snap it up. I’ve had my Falcon XR for about ten years. I got it as an unfinished project from a young fella who’d run out of money and lost his way. He’d rebuilt the engine and put it back in, but that was about it. I grabbed it and knew what had to be done. I pulled the engine back out and rebuilt it to unleaded fuel spec, did the engine bay the way it should be and detailed the engine. I then put it back as per factory but capable of running premium unleaded. I’ve always been a Ford man. I’ve got myself a Ford tattoo and I had my midlife crisis a few years ago. My eldest brother, who’s in his mid-sixties, used to have one of these a few years ago and he used to take us in it to Calder to watch Alan Moffat race his Mustang. I’ve still got pictures of it at Calder at Alan Moffat’s marquee, but he took it with him to Western Australia many years ago and we’ve never seen it since. I always said to myself that I’d get one the same colour and here it is. It’s pretty much factory spec. 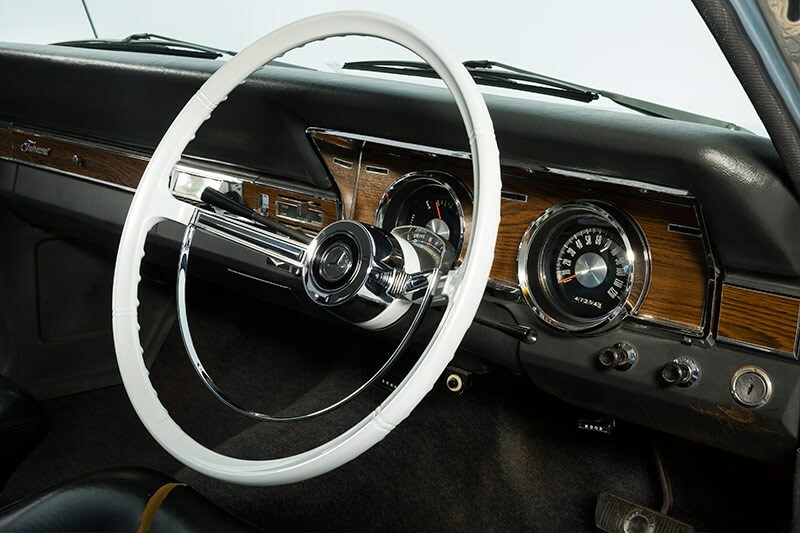 Original interior, original hubcaps and under the bonnet almost everything is how it came out of the factory. It’s got twin exhausts but hey, you’ve got to have some noise! I gave it a quick wash and steam clean and drove it on the Western Highway out of Bacchus Marsh for a five kilometres or so and that was its dry. It’s come up really well for the shoot. 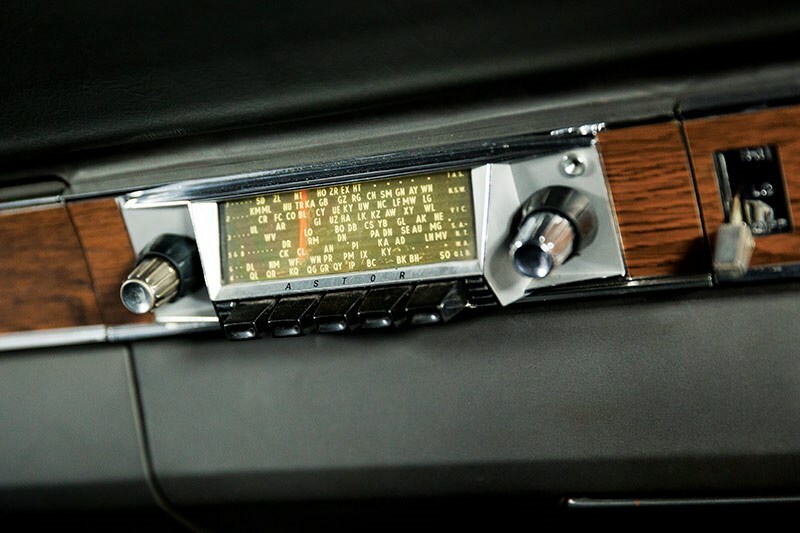 Grand Tourer put a new headlining in it and we rechromed the bezel on the dash. It’s had a new dash pad on the top but everything else is original. I just want to keep it and enjoy it. You can hop in, drive it two or three hours up the Hume at 70mph and you can hardly hear it. It’s just a hum and it’s so comfortable. My wife doesn’t like big loud V8s but she likes this because it’s so quiet. It’s comfortable like a Caddy or something like that, just floating along. 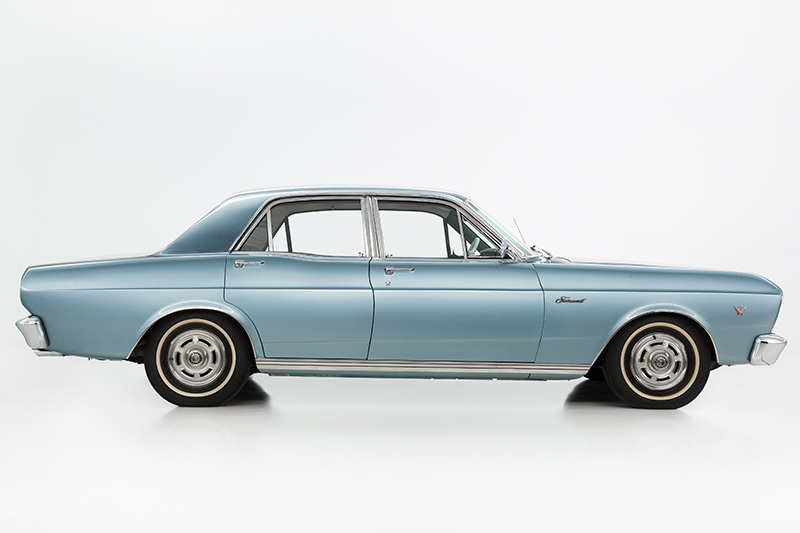 The XR, with more than 90,000 sold, was a popular model yet cars in usable condition are now scarce. Rust-proofing was virtually non-existent during the 1960s and every section of steel presents a risk. Some after-market repair sections are being made but the car-killer areas are sub-frame and rear suspension mounting points, the turret (especially window surrounds) and the firewall. Damage here is very costly to rectify. 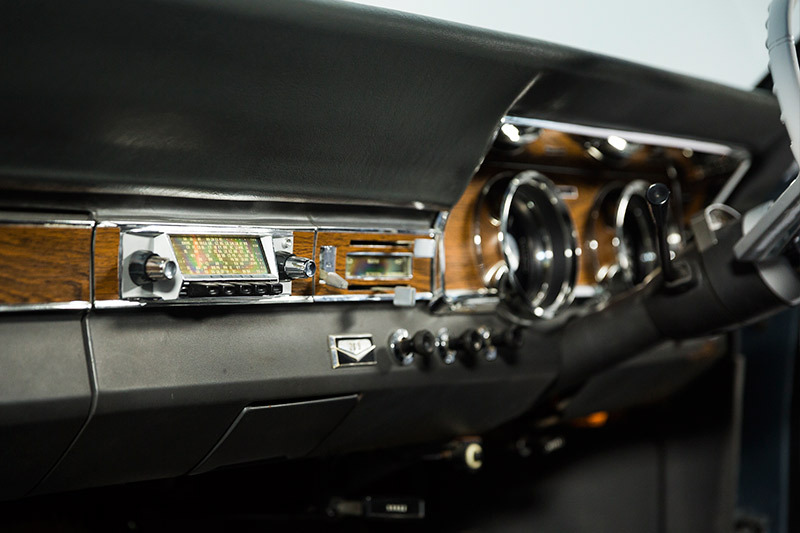 Second-hand panels are becoming scarce and expensive too, with $350 being asked recently for a pair of slightly rusty doors. Used bumpers with good chrome are available at $450-600 each. 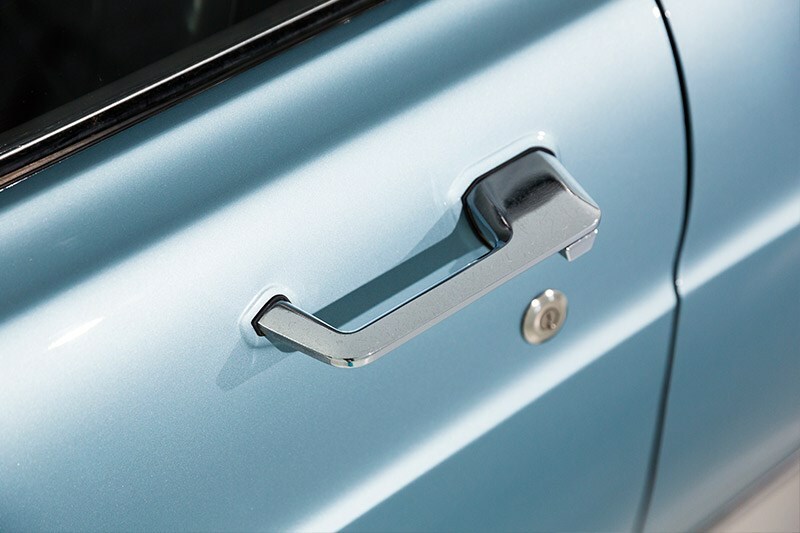 Be cautious of wagon tailgate windows (power or manually operated) that stick or shudder when attempting to lower the glass. 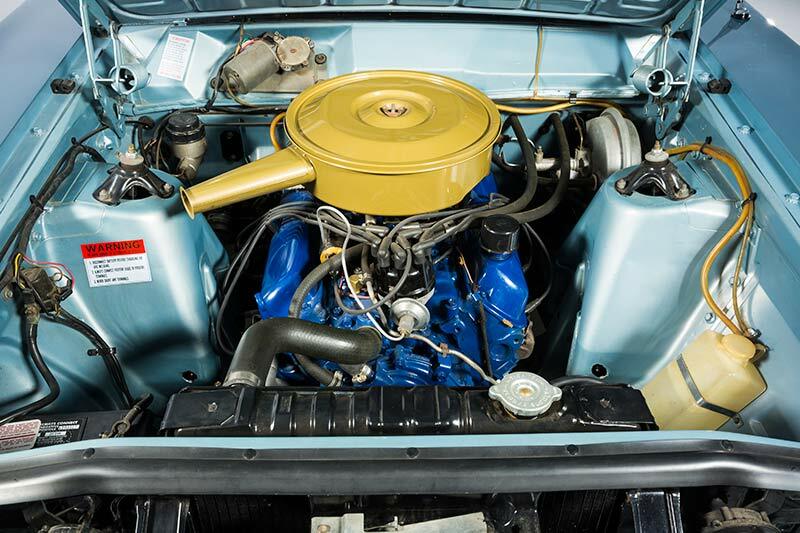 The 4.7-litre Ford engine is just about the easiest V8 in the world to maintain and upgrade. Multiple suppliers stock any part needed for a rebuild and, should yours be too far gone, used engines are easy and cheap to acquire. 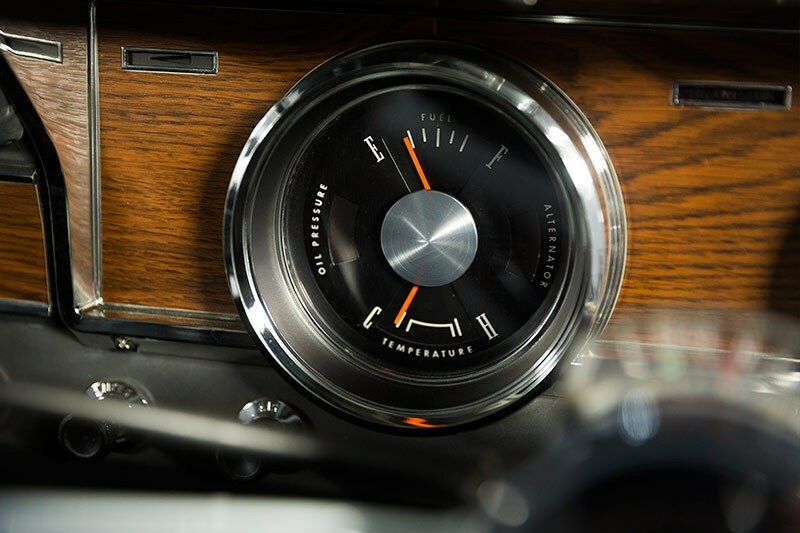 Listen on start-up for a noisy valve train and once the engine is warm look for blue trails of exhaust smoke that denote burned oil. Upgrading is simple as well, with performance parts available everywhere. 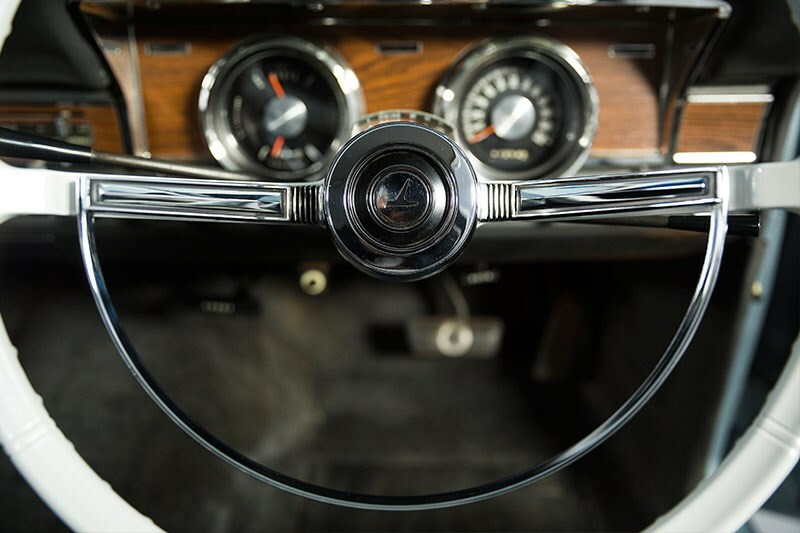 Neglected cars often overheat but replacing old, soft water hoses can sometimes fix the problem. Make sure the heater works and the thermostat hasn’t been removed. 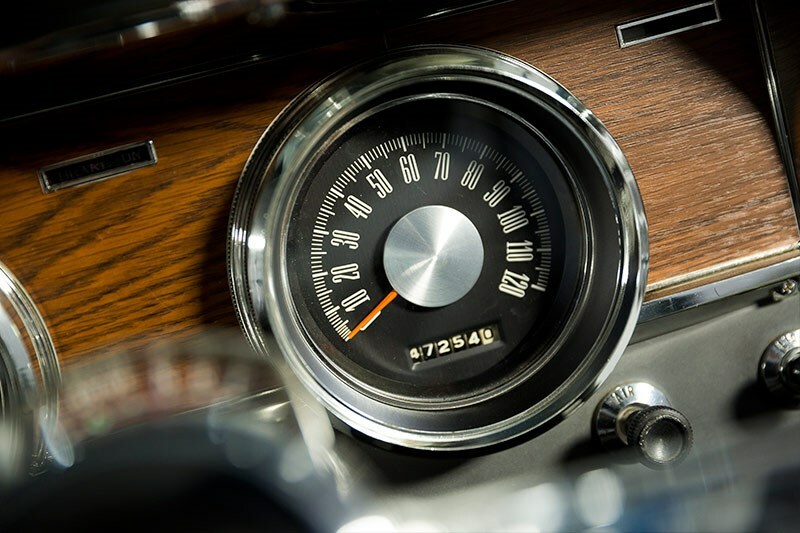 V8s came standard with automatic transmission but be wary of an auto that takes more than a couple of seconds before engaging. Rudimentary design makes for cheap, simple repairs and maintenance. 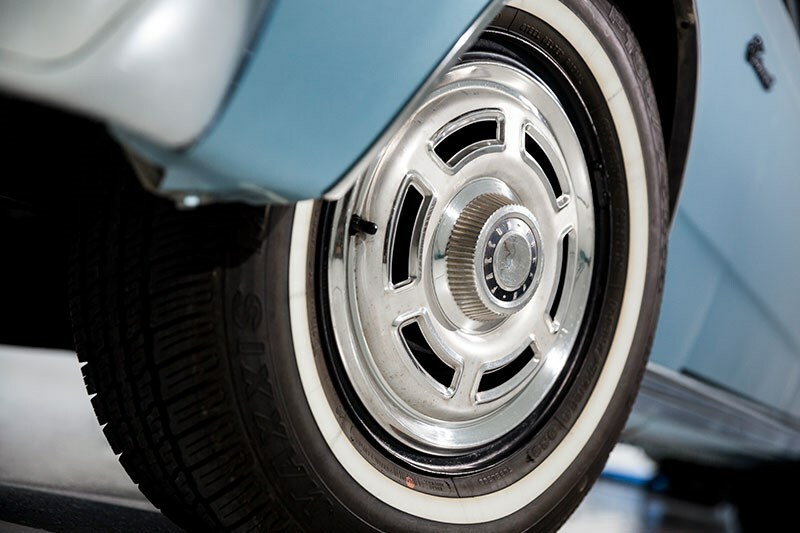 Coil springs sag and rear semi-elliptics crack and lose their temper but replacements are easily found and, at around $500 per pair, are not too expensive. Creaking and cracking sounds when the car is turned at low speed point to ball-joints that have had their day need replacement at around $60 each. Sloppy steering is typical but more than 100mm of free play before the wheel encounters resistance means budgeting for a rebuilt steering box and some bushings. 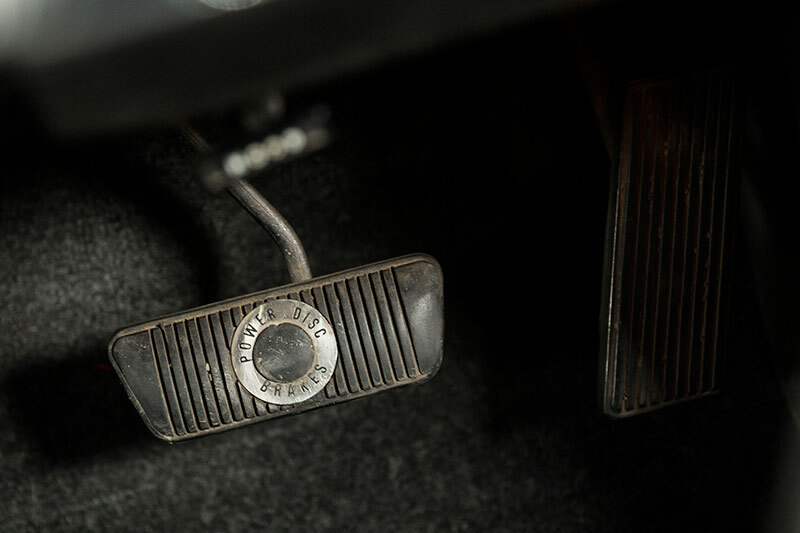 Shuddering from warped front discs can be cured by replacing the rotors but be wary of rear brakes that lock on damp roads and non-functioning handbrakes. Surprising numbers of Fairmont seats were available in the market when we went looking. Some prices were silly but $600 seemed fair for a clean pair of front buckets. 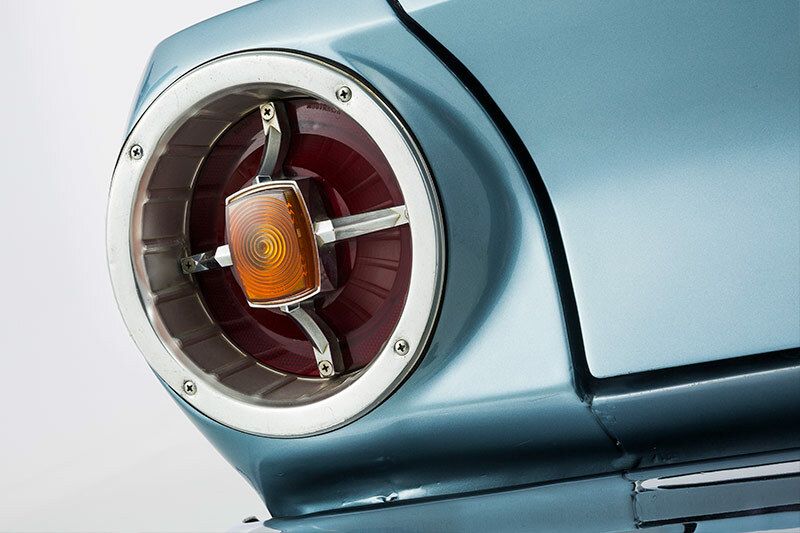 Carefully check indicator and tail-light lenses for fading and cracks as new ones are expensive. Windows that haven’t moved in a while can be difficult to wind and forcing them can break handles which cost $40-70 each. 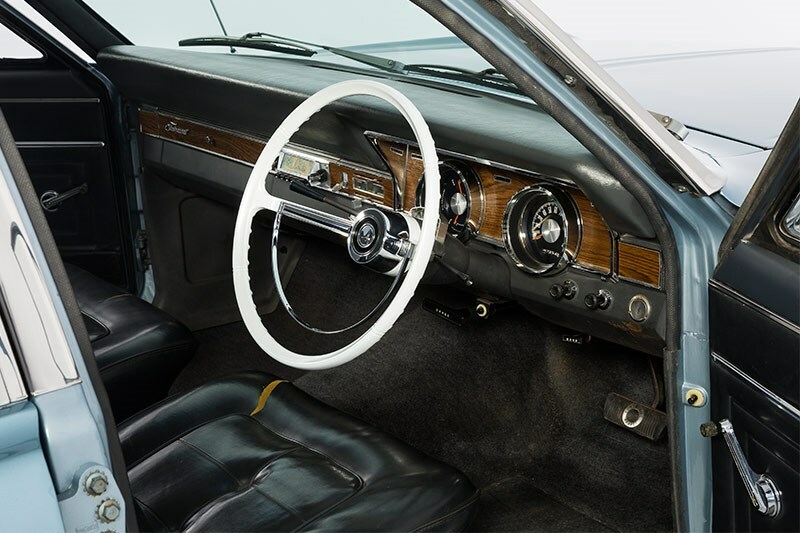 Reproduction door panels are available, as is seat vinyl and hood-lining material. Starter motor noise is typical of older Falcons but be wary if the starter takes more than one attempt to engage because the flywheel ring-gear may need replacement.